Come to breathe some fresh air and enjoy fresh fruit straight from the trees! Feeling lonely? Come by to have a cup of tea! 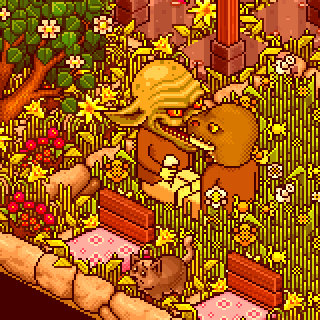 Selling furni, mostly norms but i have some rares too! Taken in this room on 21 April 2019 and received 3 likes. Taken in this room on 4 April 2019 and received 5 likes. Taken in this room on 7 March 2019 and received 2 likes. Taken in this room on 28 February 2019 and received 4 likes. Taken in this room on 4 February 2019 and received 2 likes. Taken in this room on 5 January 2019 and received 3 likes. Taken in this room on 29 December 2018 and received 1 likes. Taken in this room on 20 December 2018 and received 2 likes. Taken in this room on 26 November 2018 and received 4 likes. Taken in this room on 10 January 2017 and received 1 likes. Taken in this room on 8 January 2017 and received 1 likes. Taken in this room on 6 January 2017 and received 1 likes. Taken in this room on 19 December 2016 and received 1 likes. Taken in this room on 23 November 2016 and received 3 likes. Taken in this room on 18 October 2016 and received 2 likes.